Musical Munchkins is a magical, playful, and nurturing environment, where memories are made, musicians born and joy abounds. Miss Andrea, with over 25 years of teaching experience, offers music and movement classes for each age level. 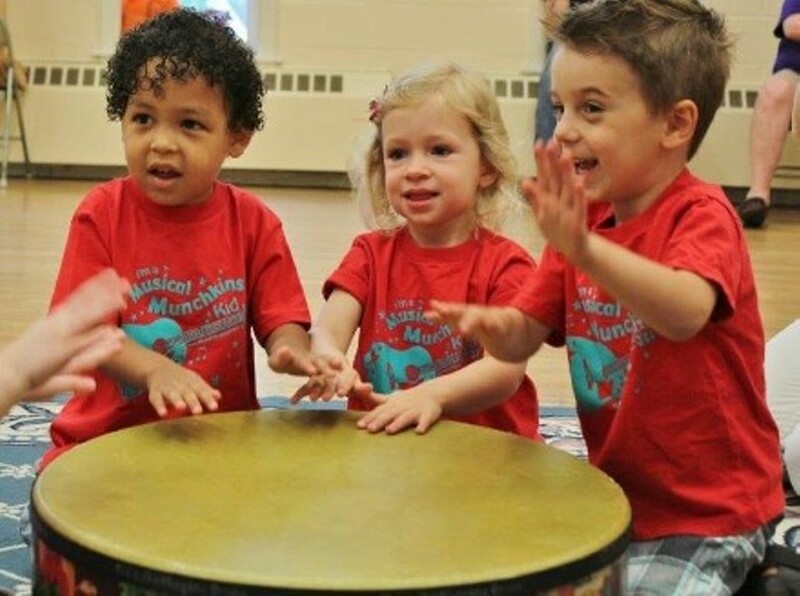 Baby boogie, toddler swing, kids jamboree, and pre-school swing, as well as birthday parties for children 1-6 yrs at your home or at our studio at Green Mountain Performing Arts in Waterbury., " Musical Munchkins is so much fun!. Wolfie and I love your "classes". I appreciate the way you understand all the children- those who can't wait to participate, and those who like to observe before jumping in." Lynn Von Trapp. Accompanied by live guitar music, utilizing a wide variety of props, puppets, songs , activities just geared for your special munchkin. - ongoing classes winter, spring, summer, & fall- weekdays and Saturdays.